Change Enough People and You Change Society. NOTE: For translations of this book - click here. The Avatar Legacy is a book that follows the introduction and development of the Avatar story. The chapters are based on recorded talks that I gave between 1995 and 2009. I have kept the chronological order, but have updated and supplemented the material with new lessons. Here is a challenge: Take a starship crew, give them amnesia, and then sprinkle them across a planet with a few billion other beings waiting to wake up. Now see how fast you can sort them out and re-connect. This book is an amazing compilation... I get “goose pickles” every time I read from it. Thank you! Peace and Love always ~in all ways. 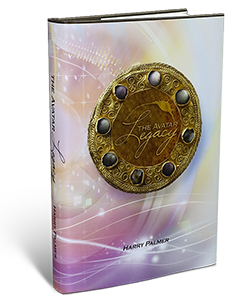 The Avatar Legacy is available in English as a hardcover book. For translations click here.